When the time comes to construct the pantheon of Scottish Labour leaders, Ken Macintosh MSP will surely stand shoulder to shoulder with Jim Murphy at its highest point. To Murphy’s visions of speedy boarding for veterans and booze at football games, Macintosh has, in the past few weeks, added two radical insights of his own: that the Scottish Labour headquarters should move from Glasgow to Edinburgh and that, instead of a general-secretary, we should have a ‘chief executive’. It’s easy to laugh at things like this, but this point demonstrates two of the fundamental problems Scottish Labour faces: that its problems are political but are perceived in the ‘apolitical’ language of ‘organisation’ and that the membership can place no trust in the leadership for salvation. And ‘salvation’ doesn’t seem too strong a word. 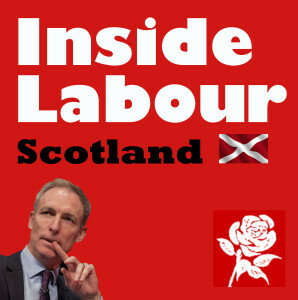 The Scottish Labour Party has only 13,000 members-(many of whom are ageing or inactive)- and has just lost 39 of its 40 Westminster MPs. The coming elections in 2016 and 2017 present the very real danger of irrelevance and ultimately extinction for the party, especially if the SNP can gain local government fiefdoms like Glasgow, which act as centres for political patronage. The institutional problems confronting the party are plain then. The deeper roots of our malaise are ideological though. Socialists in Scottish Labour are confronted by the afterlife of Blairism, in which its contradictions are fully developed. Those in the party like Jim Murphy attempt to bury politics with a language of partnership and cooperation, which seeks to deny conflict of any kind, (including, of course, class conflict). At the same time, the fundamental premises of their politics are straightforwardly conservative: support for Trident, Unionism without consideration, and above all, a negative politics which defines Scottish Labour solely in relation to the SNP. Indeed, I would argue that everyone who cares about Scottish Labour should be worried by the recent changes in the composition of membership. A third of Labour supporters voted ‘Yes’, with many members leaving the party in frustration with its position on the referendum, a position which involved little consultation. Insofar as these members have been replaced, they have been replaced by people who define their politics in relation to the Union, and little else. It’s not difficult to see how this hollowing out of the party, (much accelerated by Better Together), is problematic. The question that has to be asked then is, (of course), ‘What is to be done?’ Many of us on the Left argue that socialists have to act, and act soon. The largely dispiriting nature of the UK leadership contest, with the honourable exception of Jeremy Corbyn, only strengths the SNP, whilst innovative groups like the Scottish Left Project are moving beyond the nebulous rhetoric of ‘social justice’ preached by the SNP to a genuinely left wing politics. It really is now or never. I believe the Left in the party should use its collective power to return us to our radical roots, that is, a genuine trade unionist and socialist coalition. Such a party would embrace its role as a subversive force, placing the lived realities of working class people at its heart. Jeremy Corbyn has correctly pointed out Labour needs to be ‘a social movement for the twenty-first century’. In Scotland we already have this – the ‘Yes’ campaign gave working people a sense of voice and agency for the first time in a long time. We must learn from this movement, because we share its values and admire its ability to mobilise people. More to this, the campaign of Jeremy Corbyn has energised socialists in Labour, and we must use this as a chance to organise. With determination, we can win our party back. On one final point: socialists in UK Labour are being asked to compromise. We are being asked to compromise with failed austerity economics, with the sanctification of ‘wealth creation’, with ‘kicking scroungers’, as Caroline Flint would have it. All of this in order to win back Middle England. In such a context, socialists in Scottish Labour should be clear: in order to win back Scotland and preserve a worthwhile Union, the right of the party in Scotland must compromise with the desire of working people for socialist values and principles, that is, the desire to live a decent life. Otherwise, the party’s over. Posted in: British Regions/Nations, Ideology, Labour, Nationalism/Unionism, Politics, SNP. “Insofar as these members have been replaced, they have been replaced by people who define their politics in relation to the Union, and little else.”…ehh what’s the evidence for this? Interesting piece. I agree that the attempt to discuss both the party and politics in general in a seemingly neutral language of fairness to all and of organisational efficiency plus narrow electoral calculations has pretty much driven political debate out of the Labour Party both in Scotland and in the rest of the UK. This sorry state of affairs is demonstrated everytime party leadership contestants open their mouths with the partial exception of Jeremy Corbyn. The trouble with the Labour left in Scotland and the rest of the UK is that it rarely gets beyond protest. When it comes to anything beyond speeches the cupboard is pretty bare. Even in those areas where a lot of detailed work has been done such as in education it is not well known and it is diificult to generate interest and discussion. On top of that most of the Labour left educationalists, to stay with thatvexample, step back from confronting the party leadership over its appalling educational policies believing that quiet diplomacy within the party is the best approach. And what is worse is that it imposes self-censorship on itself so that, for example, the socially disastrous policy of ever more faith schools for ever more religions is never discussed. When I pointed this out to a leading Labour education activist his response was “Now THAT would be an election loser”. End of discussion, apparently. So, while I entirely agree with the call for a return to socialist class-based politics I see no real basis for a left surge in the Labour Party. In the case of Scotland it sounds as if most of the left has already given up on Labour. We are all keen to condemn the iniquitous Tory assault on public services and rightly so. But when it comes to discussing alternative economic strategies silence descends (look at how few informed comments are made on Left Futures in response to articles about the economy). When voices are eventually raised there is no general agreement as to the analysis of Tory economics nor on what the altenative is. The left needs to take a hard critical look at itself before dreaming of a left resurgence. We need to ask, for example, how it could be that an important section of the Labour left could ever have entertained the idea that Angela Eagle is a left candidate for Deputy Leader. its a pretty appalling bill, but Yvette Coopers just said, that we should have money spent on state schools, in areas where there’s no free schools, is this a concession that there’ll be here to stay under her if she wins and we win the election?